Stainless Steel, Iron, Copper, Aluminum Alloy, Low Carbon Steel, Etc. Aluminum coil mesh, also named decorative metal mesh drapery, decorative room divider mesh, aluminum chain mesh and coil mesh curtain. aluminum coil mesh is made of aluminum wire (grade1100). the wire thickness is from 0.8mm to 1.2mm, aperture is from 4mm to 30mm. if your order is special, please tell me the size details. stainless steel , copper wire and galvanized steel wire are acception. for the aluminum coil mesh edge, include open edge and closed edge . 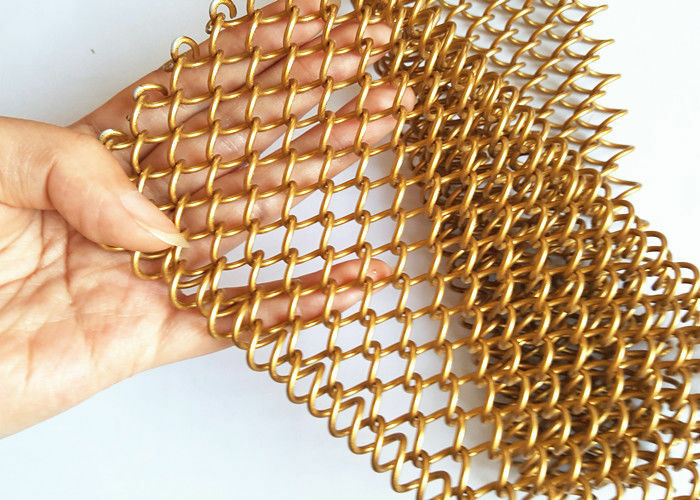 and we can be according your reuirements to design the coil mesh edge. color treatment: glod color and copper color are most popular for international maket. treatment methods include Anodizing, powder coating, fluorocarbon coating. Interior partition, door curtain, security gate, shower curtain, sun shades, store fixtures, ventilation grilles, privacy ceiling panels, fireplace mesh curtain, interior space curtains, decorative facade fabric, architecture outside designs, exterior wall cladding material, wall decoration, blast debris protection, sound insulation, day-lighting screening, fall protection etc. 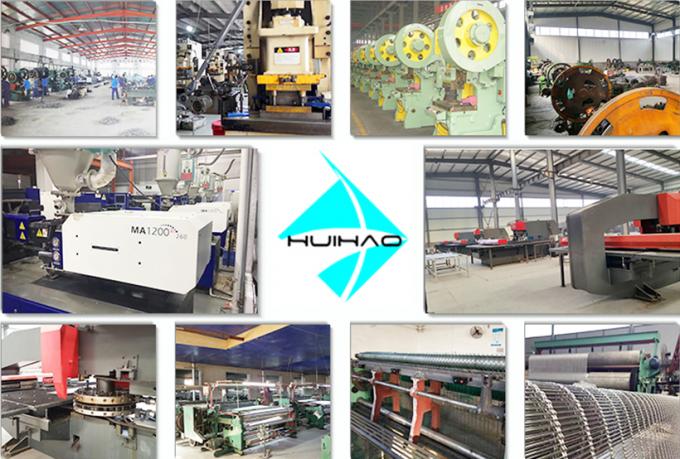 huihao company supply installation accessories, include Curtain track, screw, blot , ring, rollers and wall anchor . About the installations of the aluminum coil mesh drapery, we have three methods: U track installation, H track installation and stainless steel curtain rod installation. And stainless steel curtain rod is easy for metal chain mesh curtains to install on. 1.about the price, we accept EXW, FOB, CFR,CIF and Door to door trade terms. 2. About the order, we accept small order(20 square meters). Our company also meets the requirements of engineering orders, ISO9001-2208 management system, official material orders, product testing certificates and other required document requirements.